Your gown is the showpiece of your wedding day – every detail carefully chosen so that it looks just perfect on you. After the wedding is over, you want it to be kept as beautiful and elegant as the day you bought it. When you choose Oakbrook Cleaners to care for your gown, you are ensured that your gown is cleaned according to established, museum-quality standards and stored in archival quality materials. 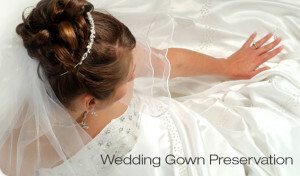 When you bring us your gown, we will carefully and completely inspect it for damage and stains. 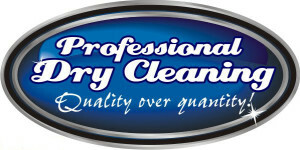 Once any repairs have been made, we will remove stains by hand, gently clean your gown, re-inspect it, and press it. After a final inspection, our preservation experts will carefully fold your gown, placing acid-free tissue between each fold. Your gown will then be placed in an acid-free, breathable paperboard box. Acid-free, rather than pH balanced materials eliminate the risk of yellowing over time, while our breathable boxes prevent the build-up of moisture, which can permanently crease your dress. Preserve your wedding gown for the future and protect your memories for a life time with Oakbrook Cleaners wedding dress preservation service. Call today for more information.